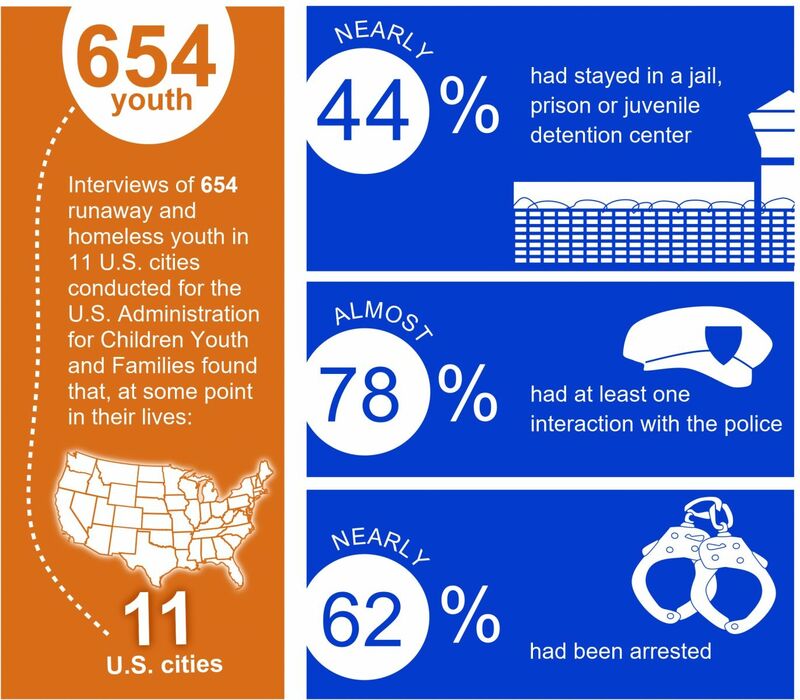 CJJ launched its Collaborating for Change: Addressing Youth Homelessness and Juvenile Justice project in June 2016 with two main goals: (1) to decrease the likelihood that homeless youth become involved with the juvenile justice system, and (2) to prevent youth homelessness among justice-involved youth. In collaboration with project partners the National Network for Youth and the National League of Cities' Institute for Youth, Education, and Families, the project will generate policy and practice recommendations, training and technical assistance resources, and avenues for greater collaboration across systems. The project is supported by the Raikes Foundation, the Tow Foundation, and the Melville Charitable Trust. Its work is guided by an Advisory Committee comprised of over a dozen national, state, and local experts from a range of youth-serving sectors, including representatives from the National Alliance to End Homelessness, the National LGBTQ Task Force, and the National Juvenile Defender Center.